We only put a small range of products on our website, if you need to do any project relative to crystal or glass, please feel free to Contact Us. If you want to Get A Price or Place An Order, please send Item#, Picture, Size and Required Quantity to Sales@LionSons.com, then we will send a detailed pricing as well as delivery time, shipping & packing details to you. Description. 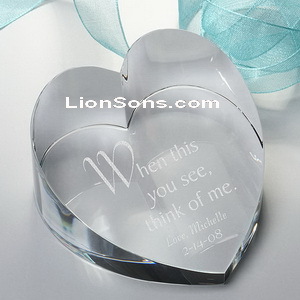 : heart-shaped crystal paperweight with custom writing inside..
Standard Dimensions. 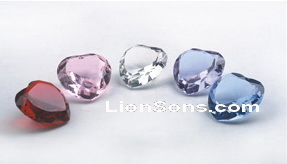 : 60mm (2.35 inches), 80mm (3.15 inches), 100mm (3.94 inches), bespoke sizes are available. Packaging. : Each packaged with a satin lined gift box (satin color can be red, black, blue, black, gold, white, etc. Box color can be those color also). And we can print your logo, slogan or image on the lid of the box with silver or gloden color. Description. 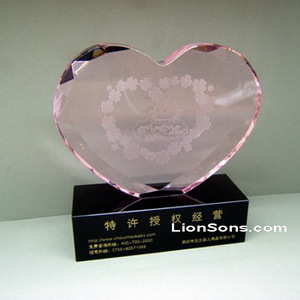 : photo engraved crystal heart paperweight, heart-shaped trophy award, heart-shaped crystal plaque. 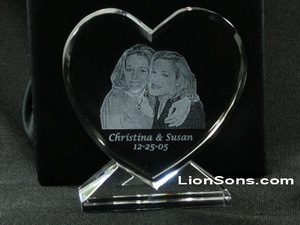 custom image and characters with 3d laser engraving inside. Standard Dimensions. : 100mm (4 inches), 150mm (6 inches), 200mm (8 inches), 250mm (10 inches), bespoke sizes are available. Description. 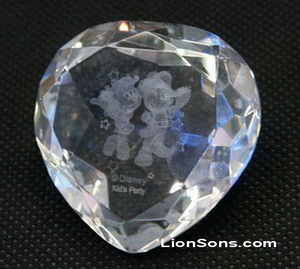 : heart-shaped diamond crystal paperweight, custom 3d laser engraving is available, many colors are available. Packaging. :Each packaged with a satin lined gift box (satin color can be red, black, blue, black, gold, white, etc. Box color can be those color also). And we can print your logo, slogan or image on the lid of the box with silver or gloden color.